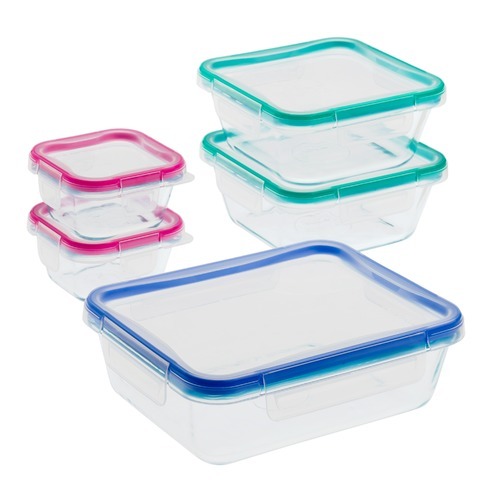 The four-latch lids are easy to open and close, but they're completely air tight, too. The containers stack with others in the collection for space-saving storage, which also has the added benefit off looking neat, too. 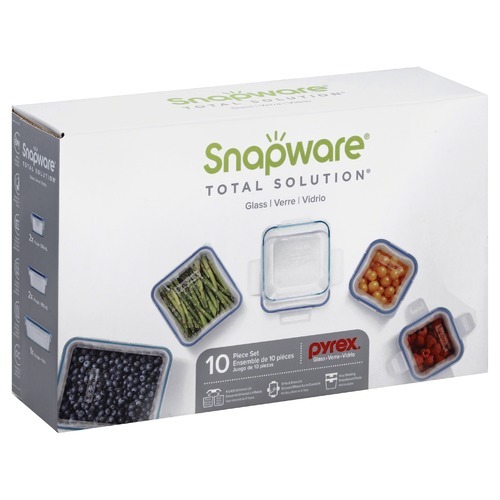 The driving force behind every product Snapware develops is a desire to help you organize your life. 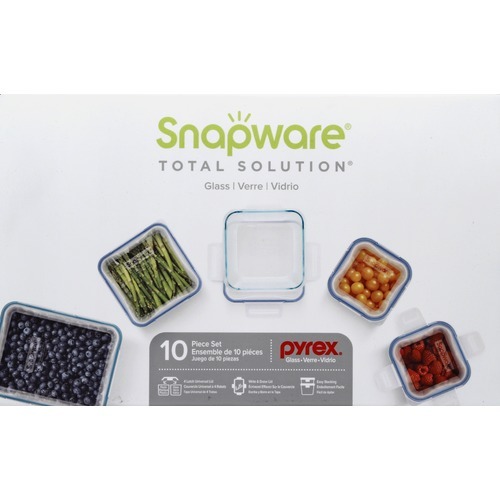 From food and home storage containers to the closet and beyond, Snapware has a container that will help you store, serve or transport your perishable and household items. They figure if we help you declutter your life, you'll be able to spend more time on the things that matter the most to you. 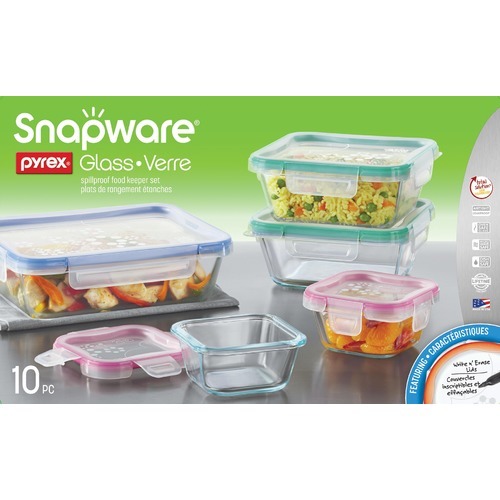 When you buy a 10 Piece Total Solution Pyrex Glass Food Storage Set online from Temple & Webster in Australia, we make it as easy as possible for you to find out when your product will be delivered to your home in Melbourne, Sydney or any major city. You can check on a delivery estimate for the Snapware Part #: 1109331 here. 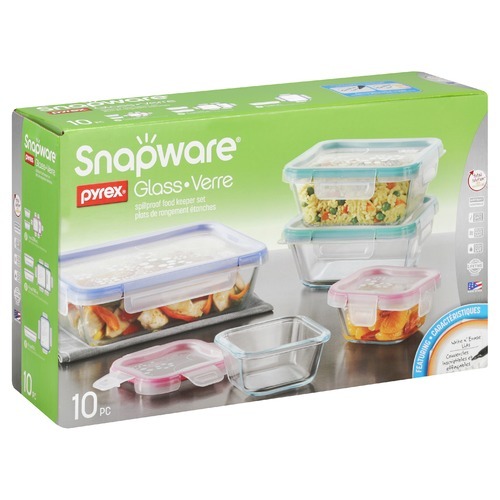 If you have any questions about your purchase or any other Food Storage and Organisation product for sale our customer service representatives are available to help.Whether you just want to buy a 10 Piece Total Solution Pyrex Glass Food Storage Set or shop for your entire home, Temple & Webster has a zillion things home.